Questions about listing real estate? Contact Kleven Real Estate, Inc of Eau Claire Wisconsin today. Our professional and friendly real estate agents will be happy to answer your questions, or conduct a FREE Market Analysis for your home. Fill out the form below and we will contact you shortly, or simply give us a call at (715) 834-1501. We would love to hear from you. I am interested in MLS# 1526951. 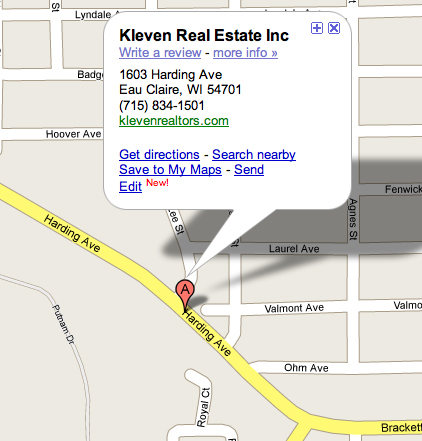 Click on map for directions to our location!